For his second release on innova, Stuart Hyatt has assembled a most unusual group of performers. The new album, Shrimp Attack, chronicles Hyatt’s extended musical collaboration with the member artists of Creative Clay, a non-profit arts center that allows adults with developmental disabilities to create and exhibit their work. These artists have never been recorded before; their heartbreaking lyrics and powerful voices cast a stunning light onto Hyatt’s lo-fi orchestral pop arrangements. 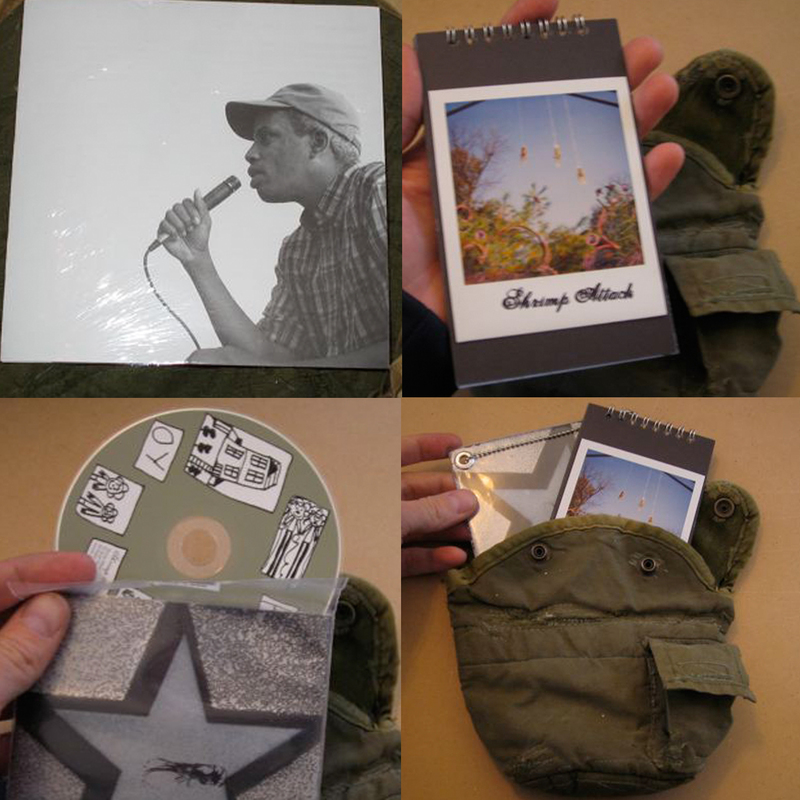 This special limited edition release comes in handmade packages, featuring drawings and text by the member artists of Creative Clay, assembled with ninja tree seeds in a U.S. army canteen pouch used in the Vietnam War era. Stuart Hyatt’s compositions, recorded under the umbrella of TEAM Records, are location-based field projects that bring together community members in the creation of new music. His innova debut, The Clouds, a gospel/folk album recorded in rural Alabama, was nominated for a Grammy Award for Design and Packaging in 2005.